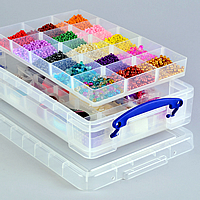 Great quality huge plastic storage box on castors with foldable lid. 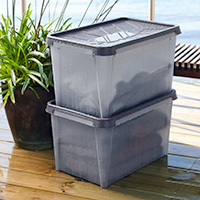 Great for storing bulkier items such as pillows, garden furniture cushions, sports equipment etc. 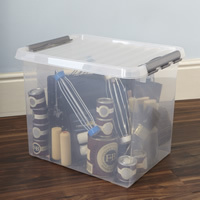 Great quality large lidded box to swallow household clutter. 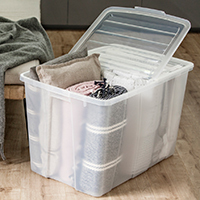 Blankets, crockery, books, toys, you name it, it'll swallow it all and (better than some we've tested and rejected), this box is built to last! 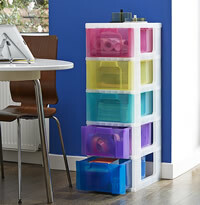 Large stackable plastic storage container to declutter and organise. 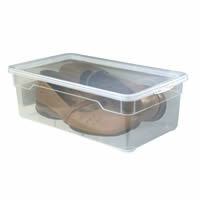 Great quality, with secure clip-close lid and reinforced frame. 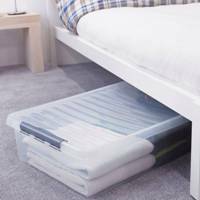 You asked for an XXL sized underbed box so we found one! 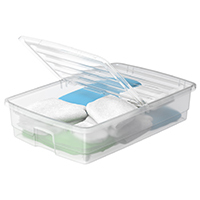 This high quality, low profile box is capable of swallowing 60 litres of clutter and is a must for those with serious storage issues! 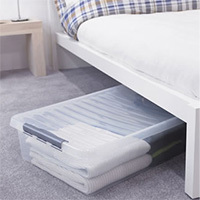 Set of 3 of our best selling XXL underbed storage box. 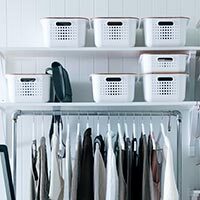 Capable of swallowing 60 litres of clutter, it is a must for those with serious storage issues! 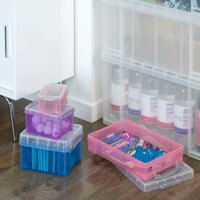 Buy 3 and SAVE! 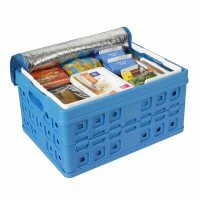 Our 32ltr folding crate with shopper handles and cool bag is a very useful companion when shopping for frozen food and is also great on a picnic. 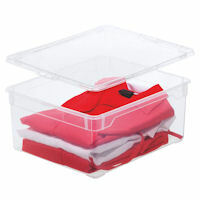 Sturdy 46 litre underbed plastic storage box with folding lid and castors. 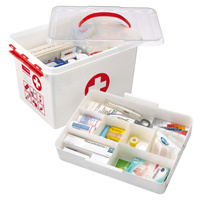 Family sized jumbo lidded plastic first aid storage box with removal divider compartments. 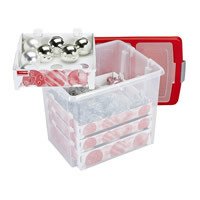 Sturdy plastic decorations storage container with card insert trays to hold up to 76 baubles. 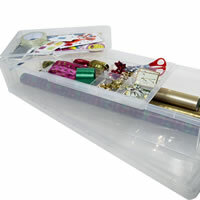 There's extra space for tinsel and lights plus two handy compartments within the lid to store other delicate decorations. 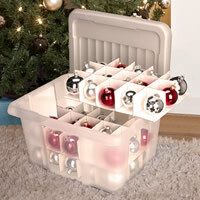 Sturdy and compact 24 litre Christmas decorations storage box with 3 cardboard inserts to store 45 baubles. 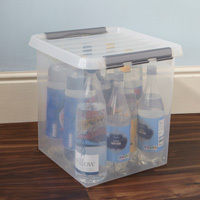 12 ltr capacity sturdy plastic waterproof storage box. 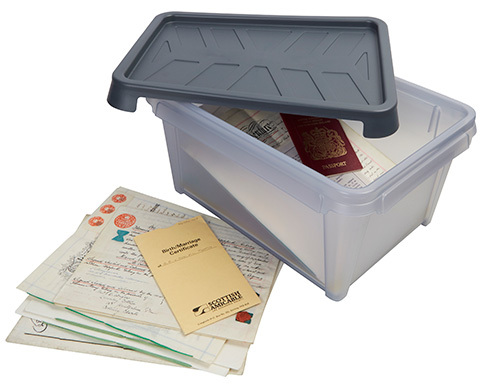 Great for storing precious documents such as passports, wills, birth certificates etc. 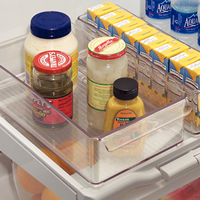 Keep your fridge clean, tidy and spill free. 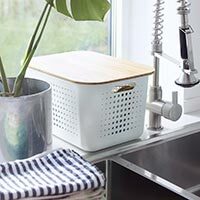 Ideal for making sure you don't lose the cheese at the back of the fridge only to find it 3-weeks after the 'use by' date! 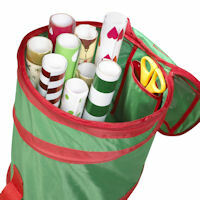 Our light & tinsel winders are the perfect solution to that annual frustration of tangled-up fairy lights. 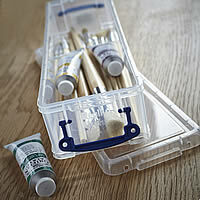 Simple, cost effective and illuminating..Ho! Ho! Ho! 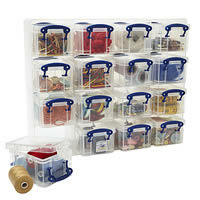 Neat toolbox with 6 x internal trays and a large divider tray for tools. 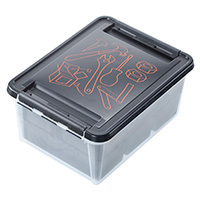 Great for popping in a cupboard and keeping oft-used tools etc. 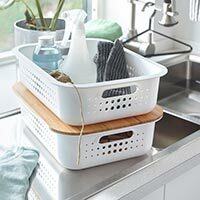 close to hand for household DIY. 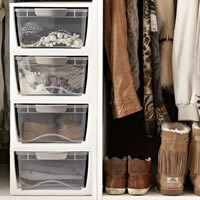 Crystal clear stackable plastic storage box for your wardrobe. 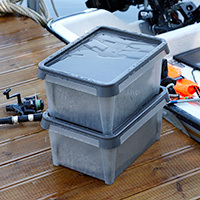 Large 50-litre capacity plastic waterproof storage box. 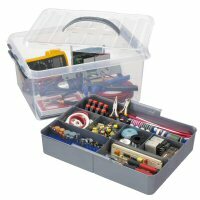 Great for use in the garage, caravan, shed etc.